Last weekend Andrew and I were in serious need of an icy treat, so we headed to Rita's Italian Ice in Anaheim. This particular location opened up a few weeks ago, so naturally there's been a lot of buzz around it. The lines are always super long, and with good reason. 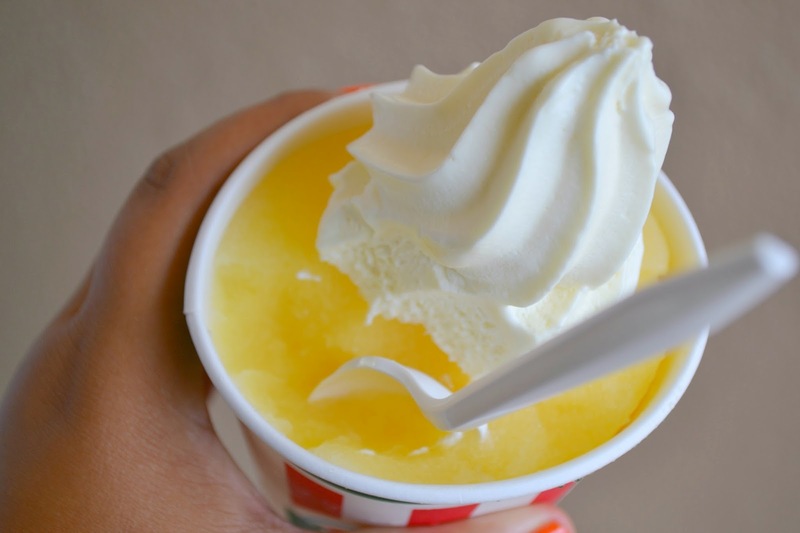 Their selection of Italian ice, gelati, milkshakes (and much, much more) is incredible! The inside is bright and cheery, and the staff is warm and welcoming towards everyone that walks in the door. They are quick to offer you samples of anything and everything and they're super knowledgeable about their product. What we want to try next: their cream ice, and a Misto, which is a blend of the ice and their ridiculously awesome custard! Tips for your visit: if you're not a fan of waiting in line, don't show up around lunch or dinner time. The wait is literally out the door. Andrew and I went around 3pm on a Saturday and we walked straight to the front without a wait. Get a loyalty card, you'll come back, I promise. Also, don't share your treat. That's just common sense though. To check out my previous Orange County find, click here. We share all our food haha. It looks really delicious though! 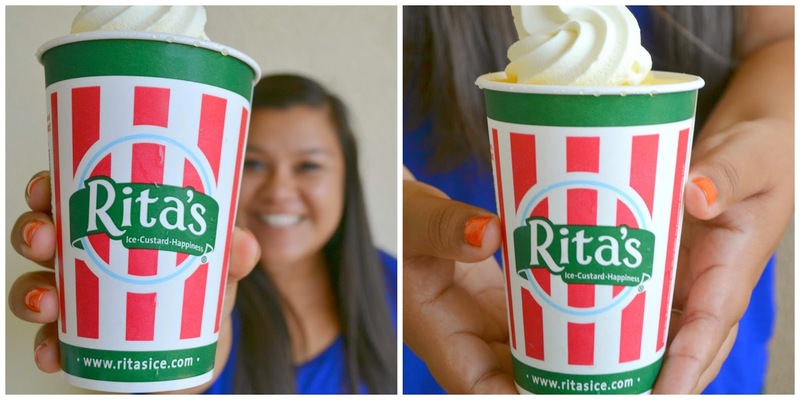 I didn't know you guys had rita's out there! Around here we have them about every two blocks! Best place ever! Yummm we have one near me :) My friend works there and brings me the bottom of the barrel sometimes..oh man.. good stuff. Ok- so I seriously need to come get foodie with you in the OC because that looks delicious!!!!!!!! i love italian ice! this looks delicious! My mouth is watering at this! I wish there was a Rita's Italian Ice around us! oh my gosh that looks tasty! OMG. I don't know what this stuff is but I'm pretty sure we need it in Austin and in my belly STAT!! the pineapple one sounds amazingly delicious!! 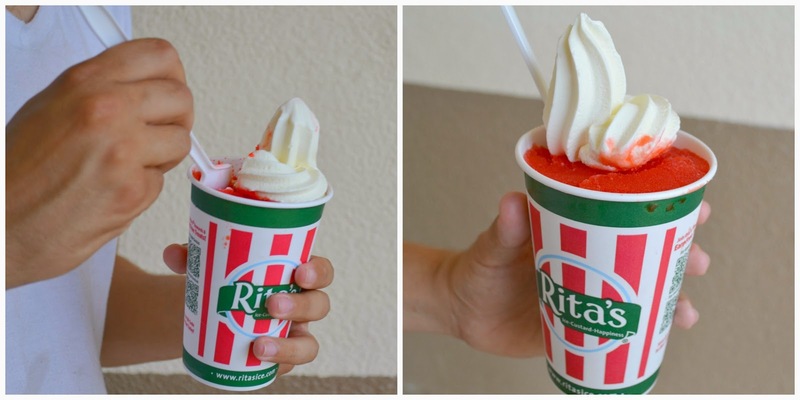 I've never tried Rita's but must seek one out after reading this! we had a rita's back in atlanta!! we loved going there. :) i actually had no idea this was nationwide. I heard it opened up and I have yet to try it. I love Frostbites though and haven't found anything that compares!